You know what I’m talking about….it’s never good news when your phone rings at 2:30 in the morning. No one is calling to invite you to breakfast, but I wished that was the call I received this week. My mom called in a panic that dad wasn’t breathing, and the paramedics were on their way. So many people I talk to, including myself have this (do I dare call it a dream) to die at home in our sleep. It seems that one’s death can either be very slow and painful or they’re just gone suddenly. We suspect in Big Guy’s case; it was fast. Which I see as a blessing, I pray I’m right in thinking that it was quick and not painful. But only two people truly know. My parents have been married for 57 years. They are great examples of how to make a marriage work. One of Big Guy’s success factors in his marriage was his ability to never argue with mom :). And mom’s factor was her patients in just waiting him out. One of Big Guy’s favorite TV shows was 60 Minutes. It should have been a written rule in our home growing up, don’t talk (no one including mom) during 60 Minutes. This was also the best time to hit him up for spending money. If you think I’m tight with money, man, I learned it from my dad, and now his oldest grandson has also learned this lesson. A family tradition passed along from one generation to another. He loved his grandkids even more than his own kids. I’ll prove it to you! For example, in our backyard, he’d snow blow a sledding hill for Nicholas (his grandson). This would take hours, and it was an ongoing project throughout the winter so that Nicholas could enjoy sledding. He would never have done that for my sister or me, even my sister agrees on this point. For my dad, having kids was great, but have grandkids was even better. While I was growing up, I played hockey. It didn’t matter, Saturday or Sunday mornings, he’d take me to early morning games and practices. Plus, he was always sitting in the stands watching me. There are so many family memories when you look back as an adult; you probably didn’t think much about it when you were a kid, but value and appreciate it today. 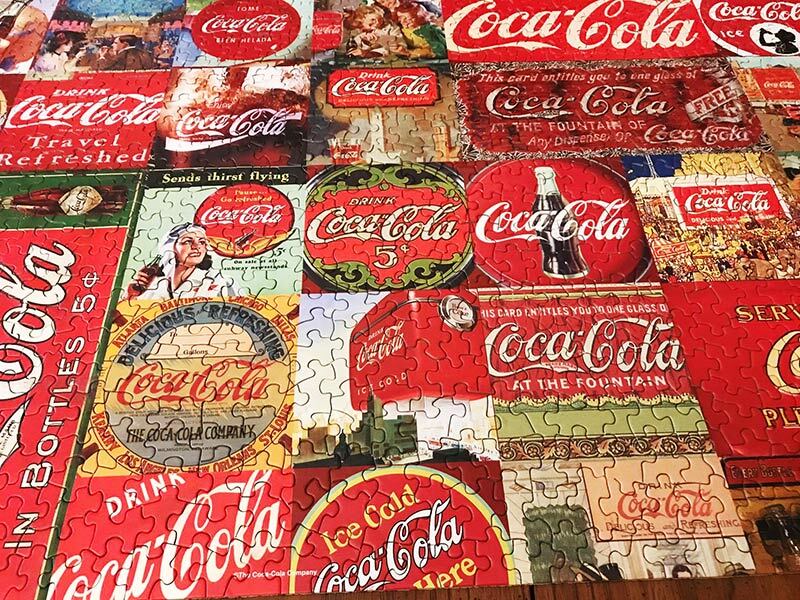 The day before he died, he finished his final puzzle – a Coke-A-Cola puzzle. He enjoyed puzzles. For a change of pace one year, we bought him an iPad. He was never into computers, but holy cow, he enjoyed his iPad. It was a real hit but he never did collect all those winnings ($) from the various games he played. It turns out he’s eligible to be buried at Fort Snelling because he served in the Navy for four years. None of us knew that was an option, including Big Guy. He’d be so proud knowing that this is his physical resting spot. He loved our country, his family and most importantly my mom.